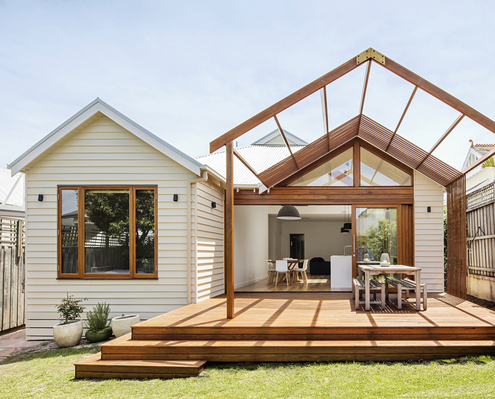 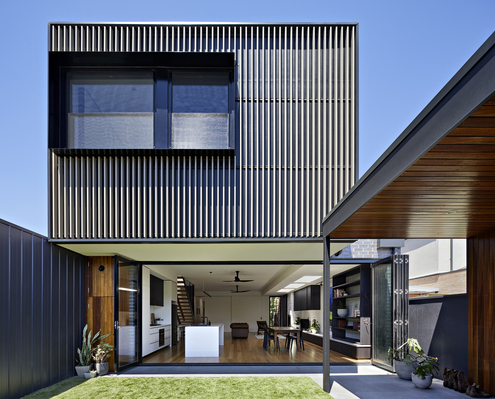 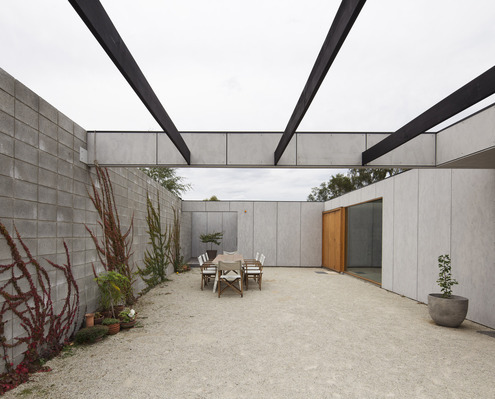 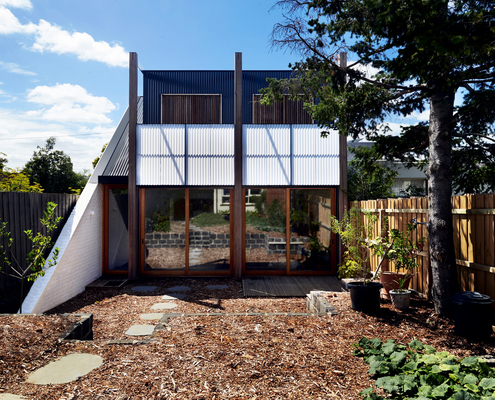 House Frances by Those Architects This Sydney Home Turns the Traditional Aussie House on its Side A typical Australian home uses the full width of the block and puts a garden in front and out the back; this home is far from typical. 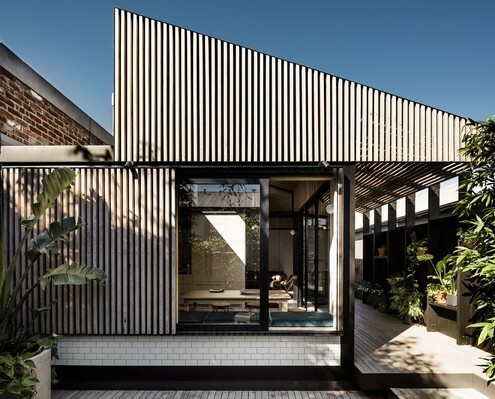 Light Saw House by Zen Architects No More Living in Darkness; This Saw Tooth Roof Brings the Light Even if you're stuck with a south-facing backyard overshadowed by your own house, there's no need to dwell in darkness. 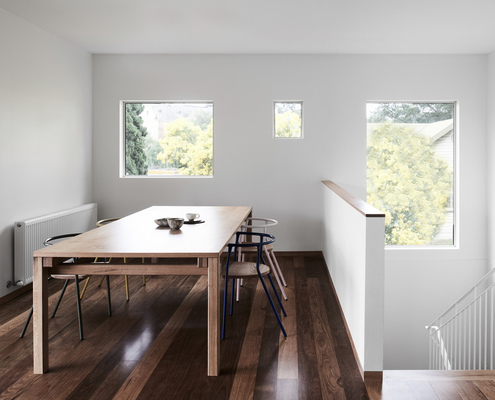 Brunswick House by Chan Architecture How to Create a Modern, Flexible and Bright Space on a Narrow Block Renovating an older, inner-city home comes with a peculiar set of challenges - how to make it seem bright and spacious when it's not. 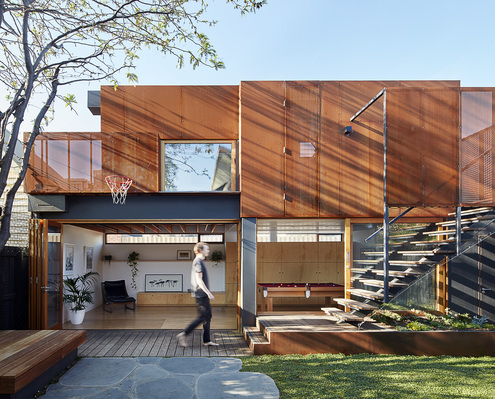 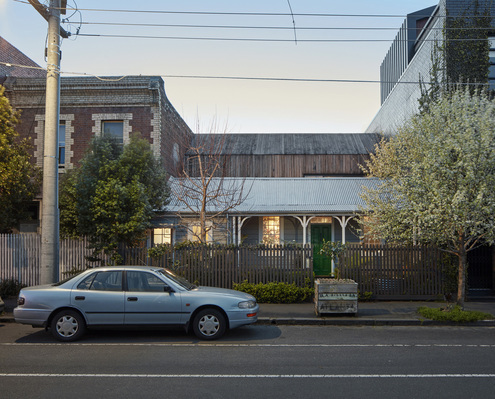 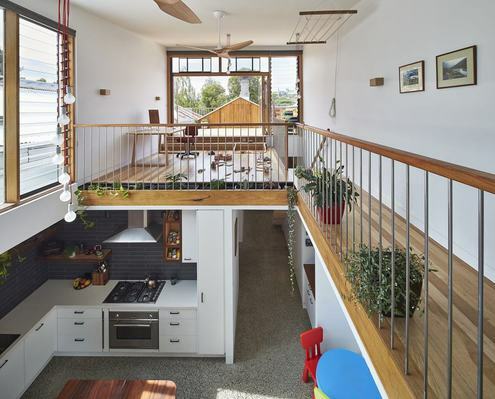 Garage House by Foomann Architects A Home That Explores Communal Living for Adults This flexible new home built behind the existing is accessible by rear laneway; it could be used as a garage, studio or living space. 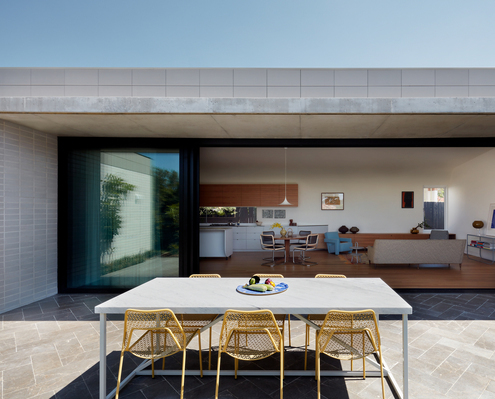 Gable House by Sheri Haby Architects Twin Gables, Rather Than Extra Floor Area, Give the Illusion of Space The rear of this home is redesigned to give an air of spaciousness, with an internal reconfiguration and the addition of two gables. 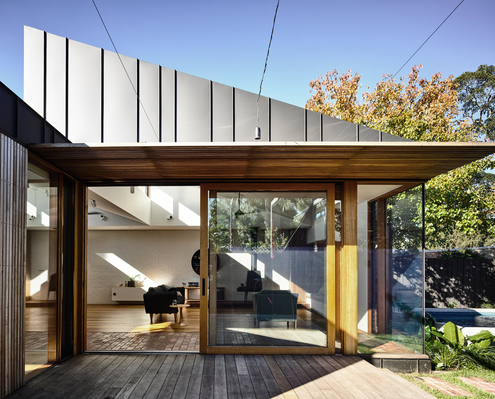 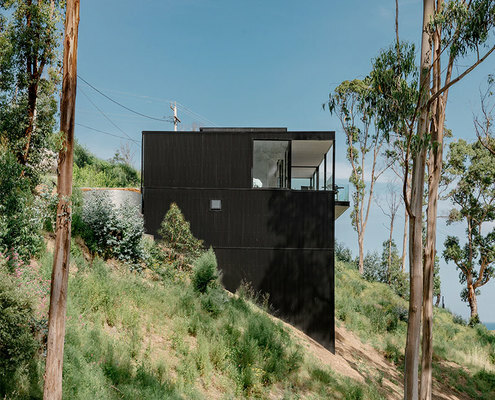 Studio House by Zen Architects A Flexible, Multi-purpose Studio That Requires Very Little Land By designing a separate, self-contained studio, this family have gained the extra space they need now and flexibility into the future. 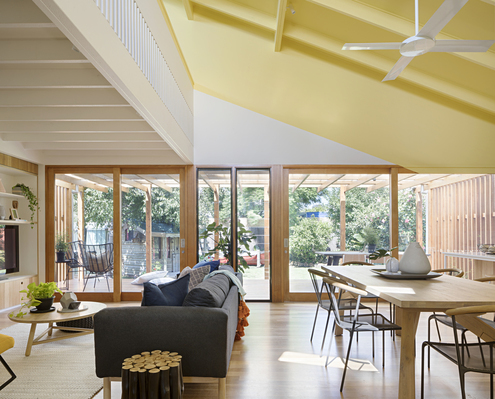 Joyful House by Mihaly Slocombe This Joyful House Brings in Light and Opens Onto the Garden A family of five create a joyful home with a series of open, colourful and light-filled spaces for their energetic young family. 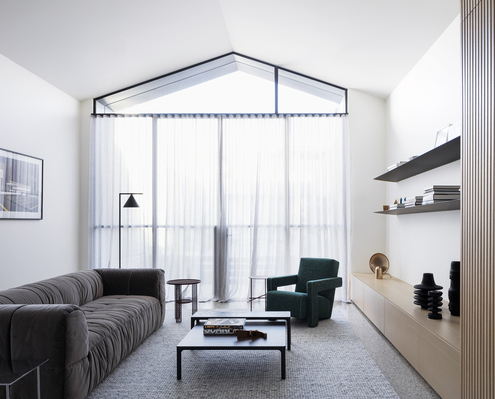 Light Corridor House by FIGR Architecture and Design There Is an Abundance of Light at the End of This Quirky Tunnel A dark tunnel transforms into a bright, open space at this Cremorne terrace which celebrates the transition from old to new. 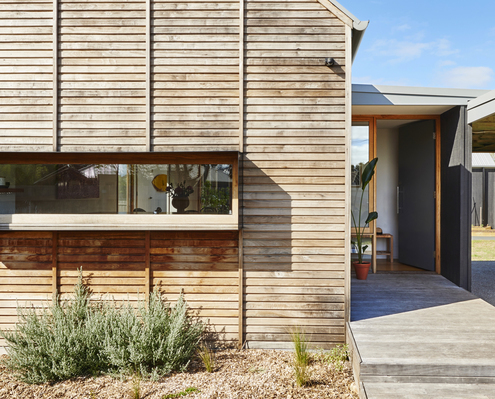 Riverwalk by Irons McDuff Architecture Modern Timber Beach House Still Achieves Bushfire and Energy Ratings Clever thinking achieves a simple timber beach house the client desired while still meeting bushfire and energy efficiency regulations.